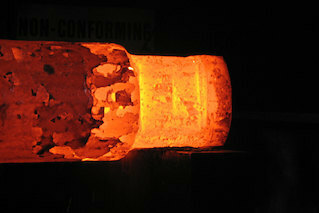 We forge shafts up to 180" in length and up to 3,500 lbs. 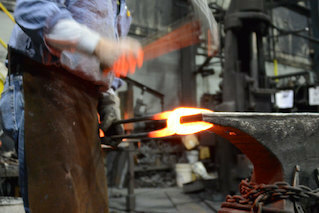 We are proud of our facility, which houses a 126-year-old forging hammer. In addition to our forging capabilities, we have a modern testing facility, state-of-the-art CNC lathes, vertical turning lathes, conventional lathes, band saws and mills. 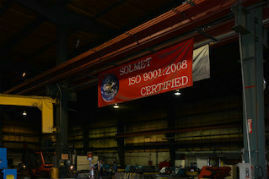 Additionally, our equipment can forge shafts in weights up to 3,500 pounds and lengths up to 180 inches. 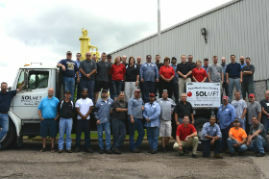 At Solmet Technologies, we specialize in handling small lot quantities and prototypes, but also accommodate your mid production runs. 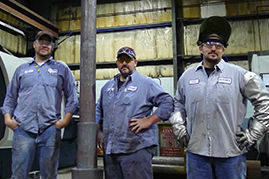 Call us today at 330.455.4328 to learn about our machining, cutting, turning and forging capabilities.